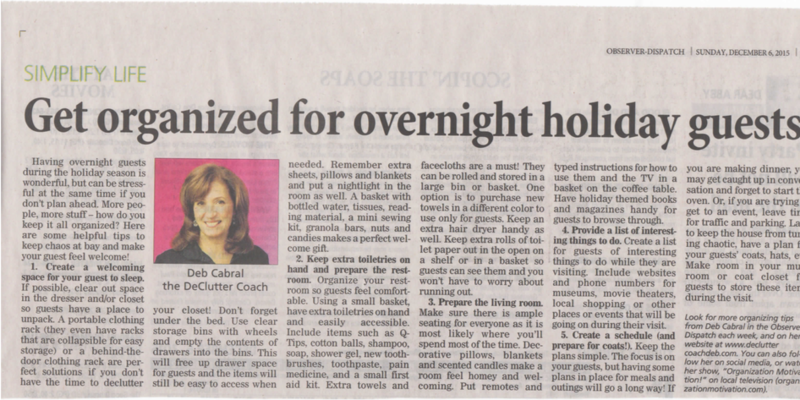 The Holiday’s are always a crazy and hectic time of year. 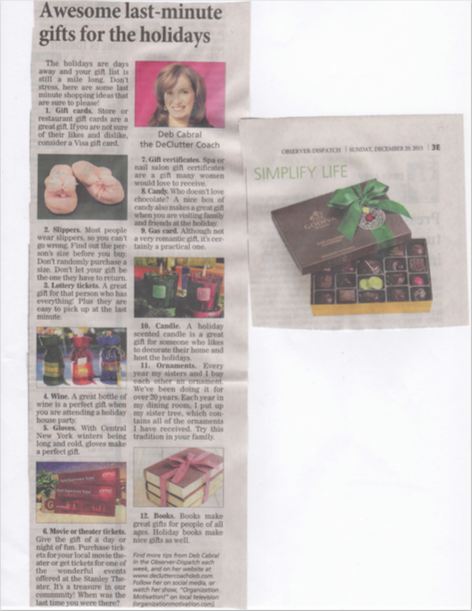 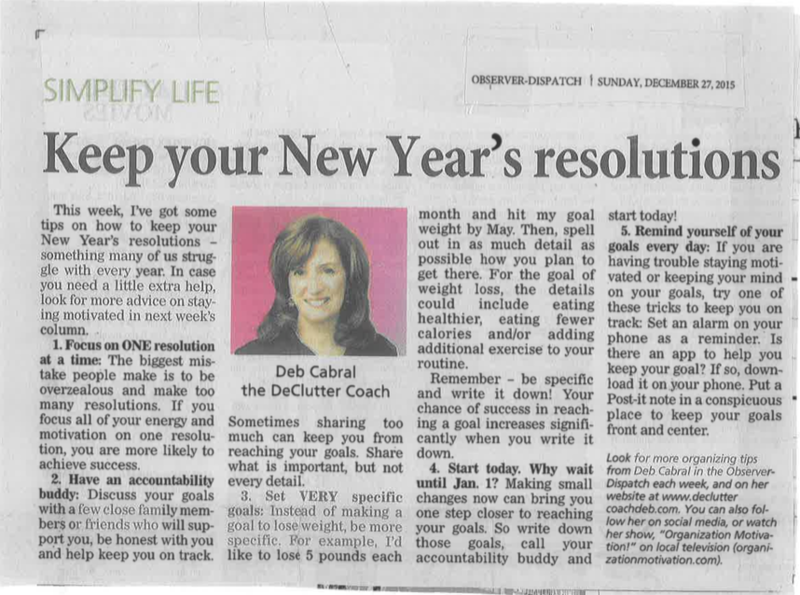 Stay organized this season with Deb’s help! 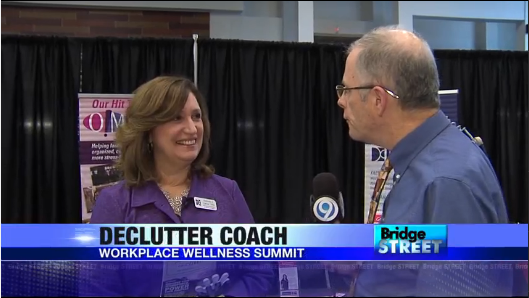 See Deb at the Workplace Wellness Summit in this Bridge Street Segment. 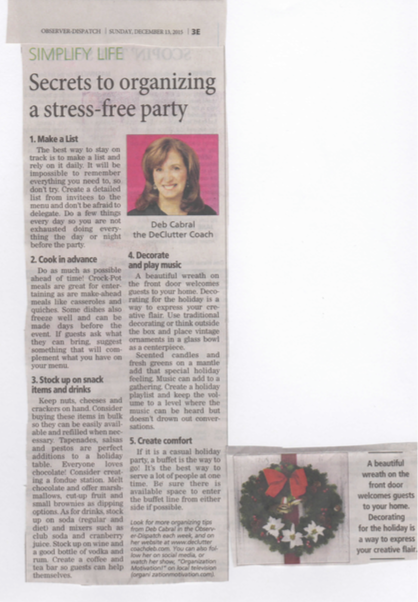 Need some ideas on how to keep your guests entertained at Thanksgiving? 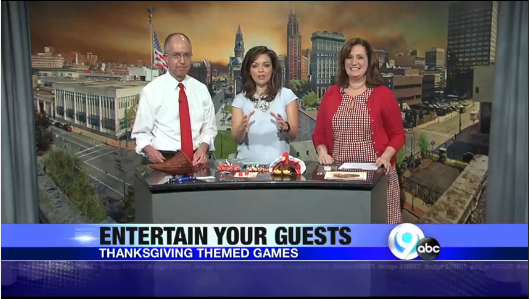 Try these fun Thanksgiving Themed Games! 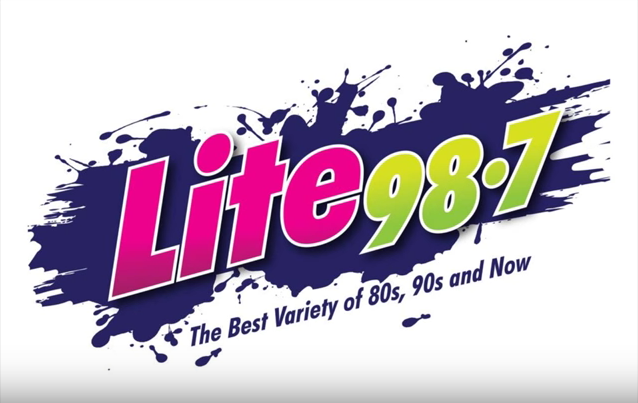 Deb’s back for another Transformation Thursday segment on Lite 98.7 talking about organizing the pantry!